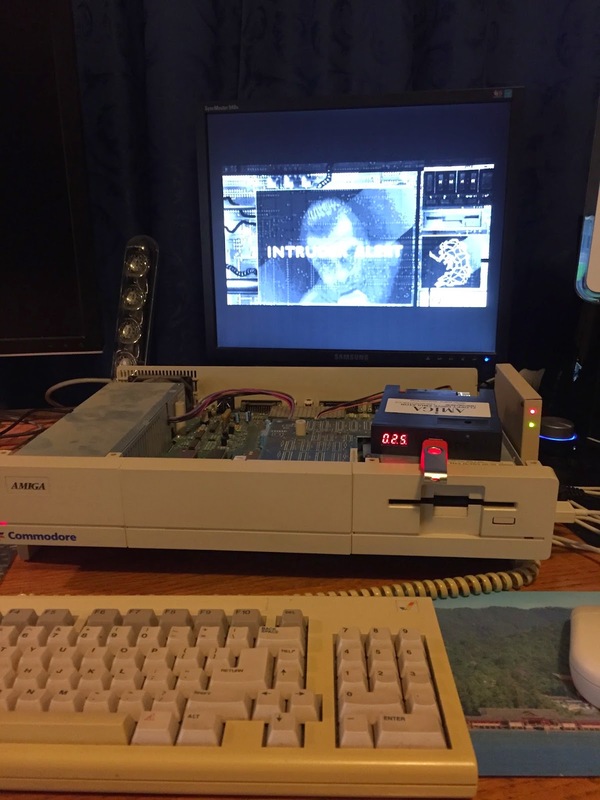 After a prompt by someone on IRC this week I decided to try to get my Gotek Floppy Drive Emulator working on my recently purchased Amiga 1000. 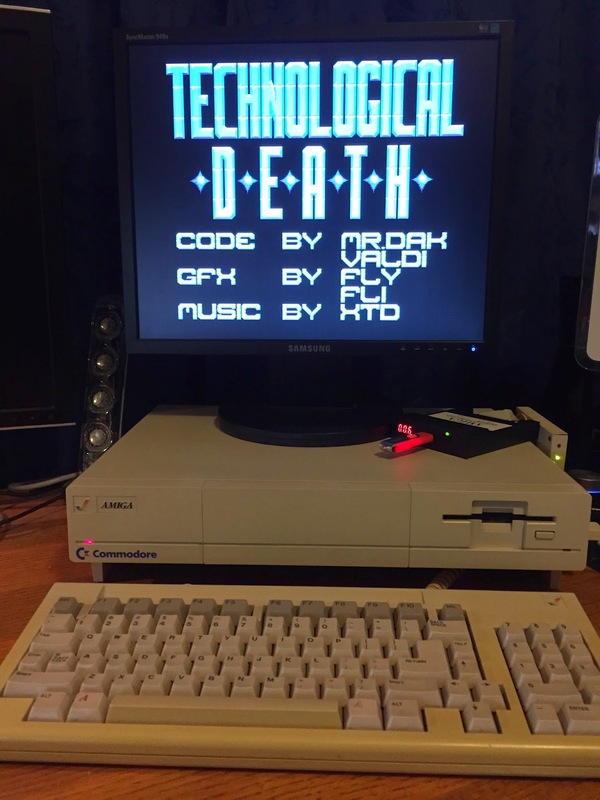 As I suspected before I started with this little mini project - there would be some tricks to get it working on an Amiga 1000 due to the need for the Kickstart disk before anything else could happen. 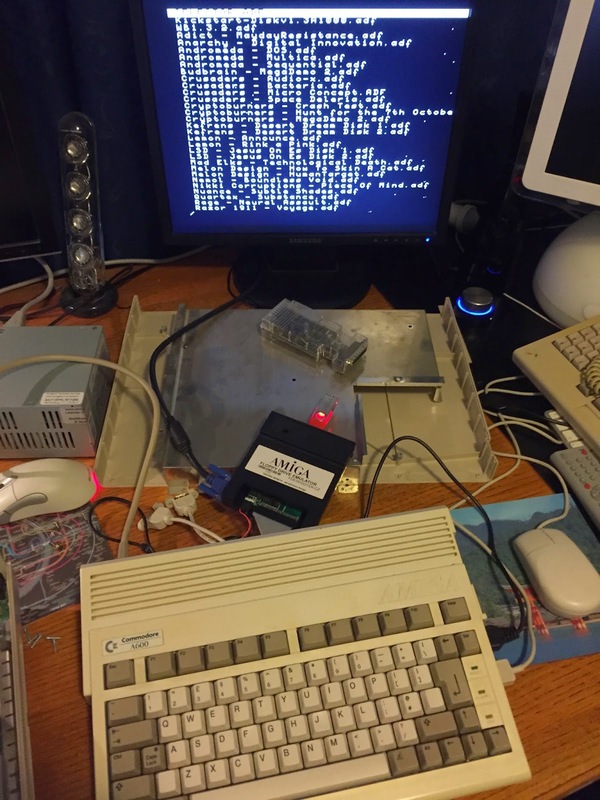 As regular readers of my blog would probably remember, last year I bought the Gotek Floppy Drive emulator and tried it out on my Amiga 600. That blog entry is here if you want to review it first as I cover the functionality of the Gotek in much more detail than I will here. 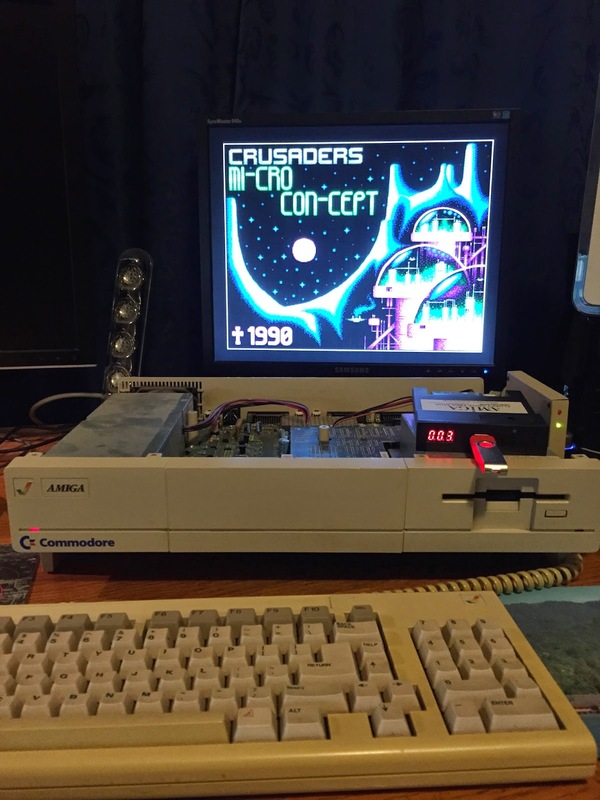 So, can I get it to work in the Amiga 1000? The inside is surprisingly clean considering it's age - it is 30 years old! 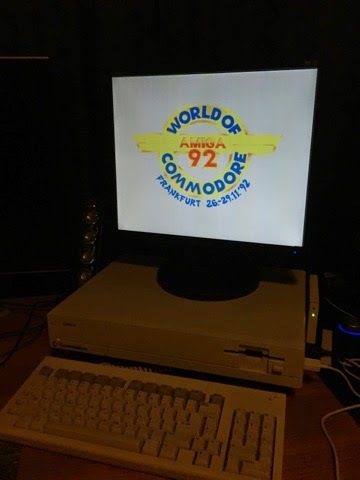 The next close up shows the 68000 CPU, floppy drive cable and power cable. 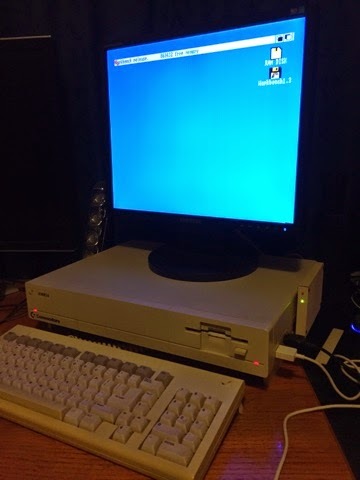 Before we can connect the Gotek Floppy Drive Emulator to the Amiga 1000 though I have had to do some things first. 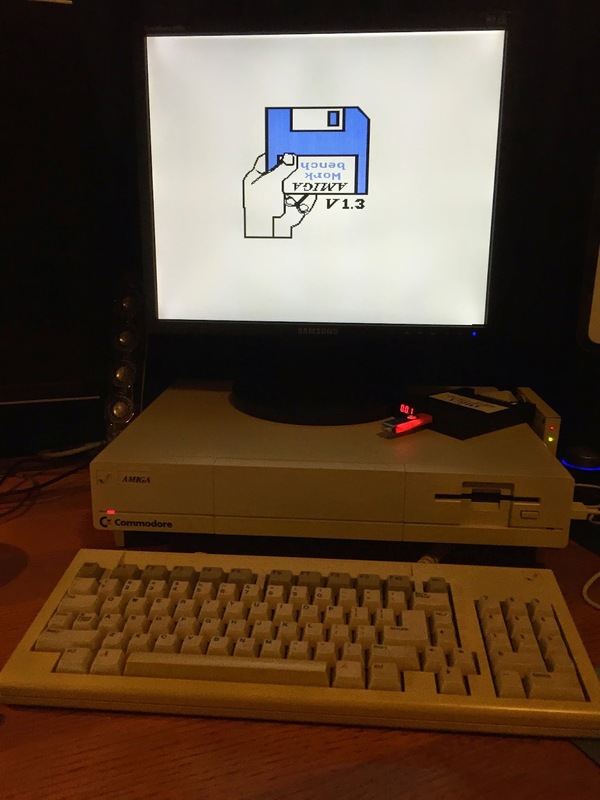 Namely, copy the Amiga 1000 specific Kickstart 1.3 disk (ADF format) and Workbench 1.3 Disk (ADF format) to the Gotek USB stick. As discussed in my previous blog post on the Gotek, there is a selector.adf program on position 000 of the Gotek which enables you to select disks to assign to each slot on the Gotek. 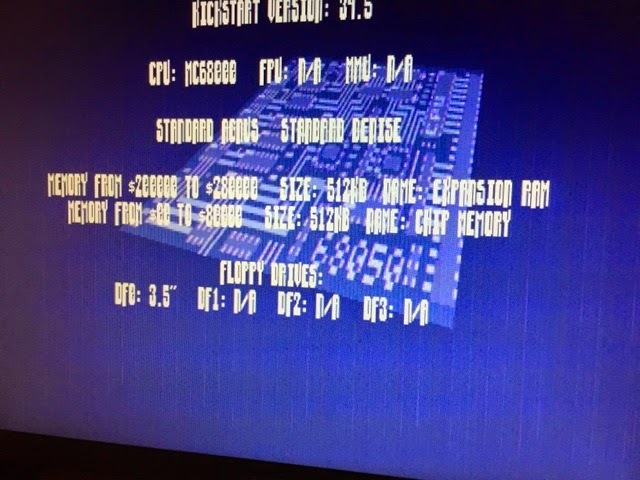 However, this selector.df needs the Kickstart to be loaded first on the Amiga 1000. This means we need to assign the Kickstart 1.3 ADF on the Gotek using selector.adf to do that. 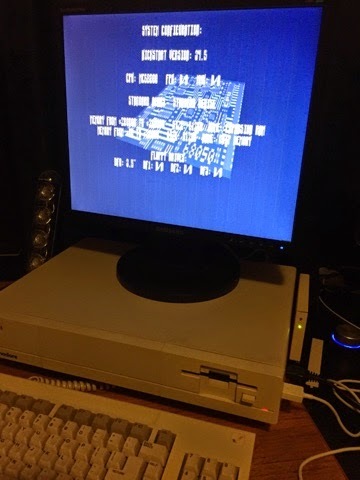 However, this is not possible to do on the Amiga 1000 itself because once I connect the Gotek and disconnect the floppy drive, there is no way to load the kickstart disk needed to then load the selector.ADF!! 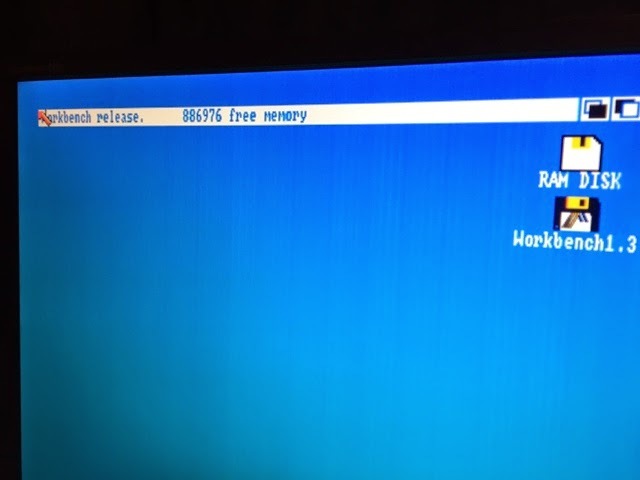 It automatically boots the kickstart 1.3 ADF from the Gotek and the next prompt I see is the Workbench 1.3 insert disk screen - fantastic - it works! 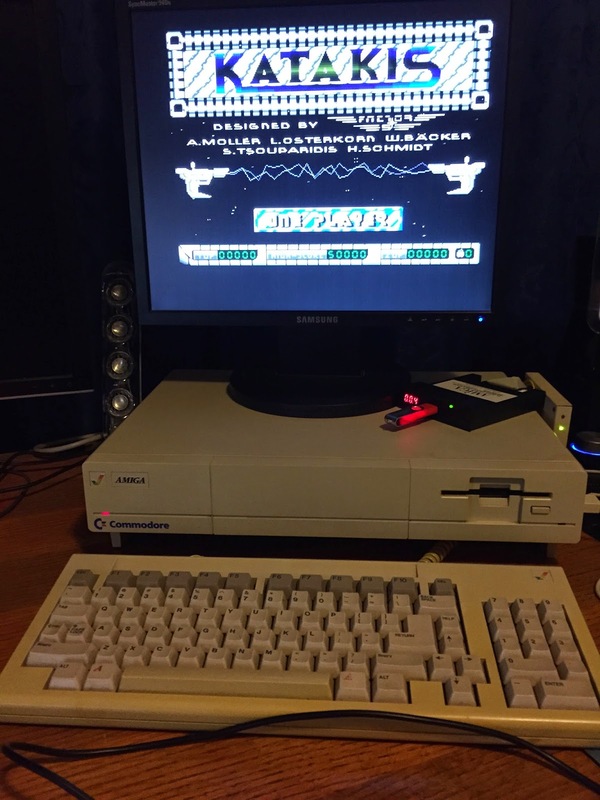 Some more demo ADF tests followed - how fantastic not to have to use floppy disks any more on the Amiga 1000! 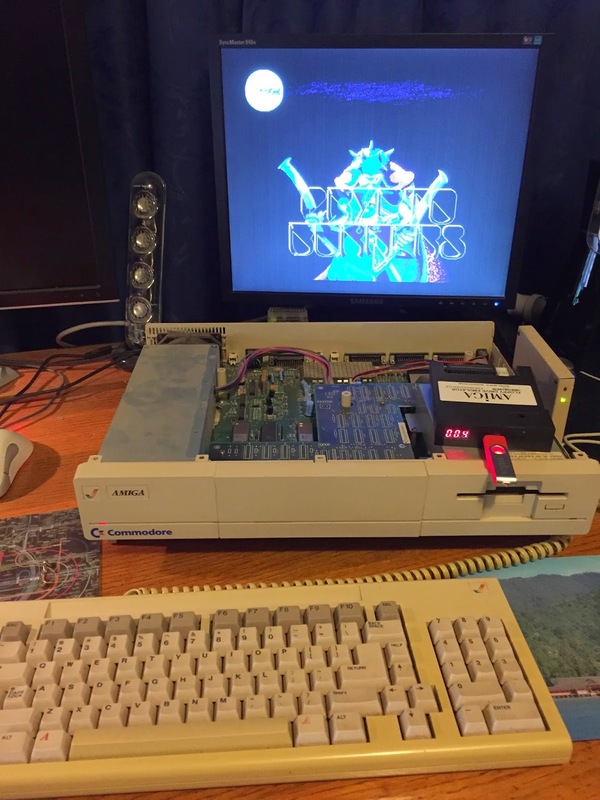 Having established the Gotek works great on the Amiga 1000, I next needed to work out a way to keep it connected and still have the option to go back to the original floppy drive if I ever want to. 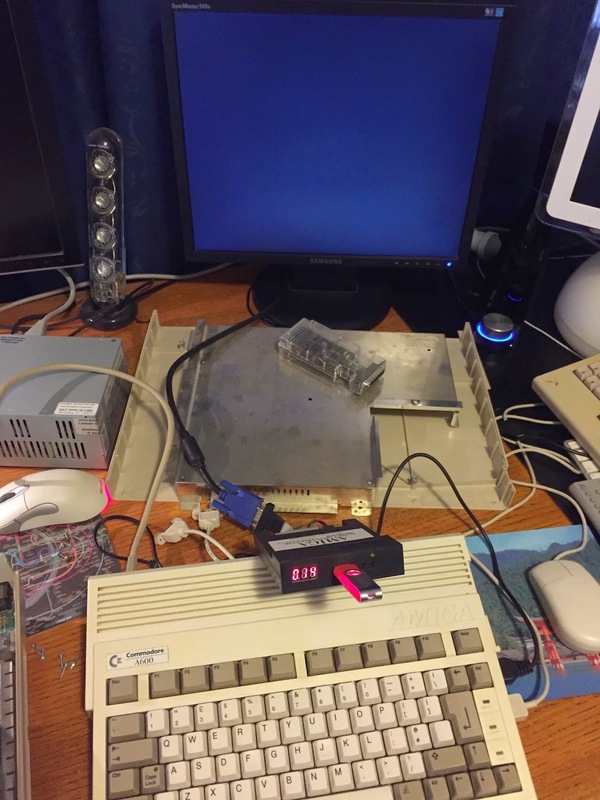 I found a longer Amiga floppy drive cable I had spare and ran it from the internal Amiga 1000 floppy drive connector outside through the right hand expansion port. 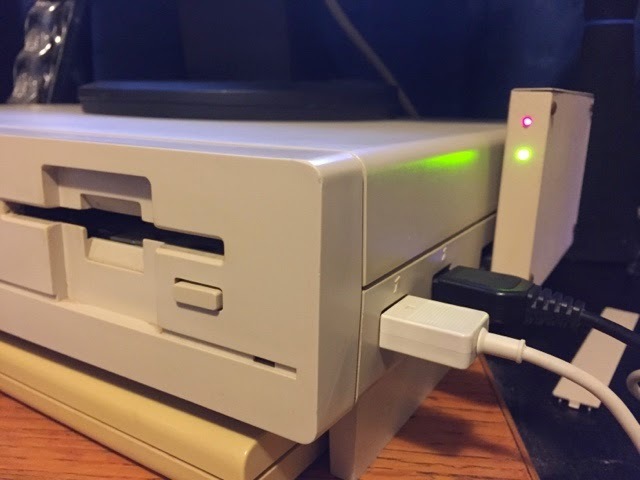 I then used an external molex power source (used for powering IDE/SATA hard disks for USB connection) and used a molex to floppy drive power connector splitter. 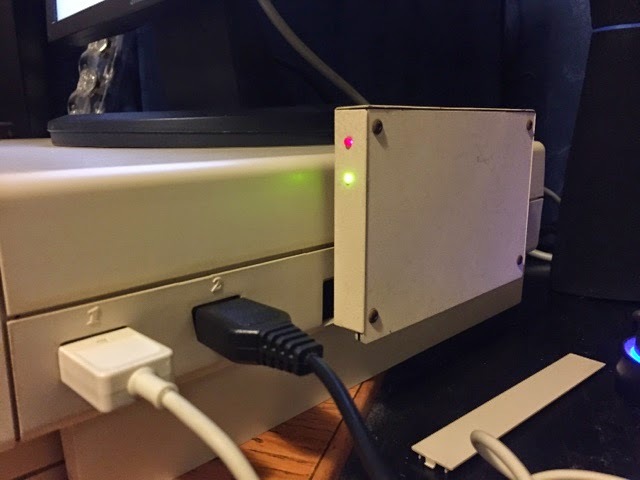 This means the internal floppy drive is no longer functional - but I can always reconnect it again if need be. 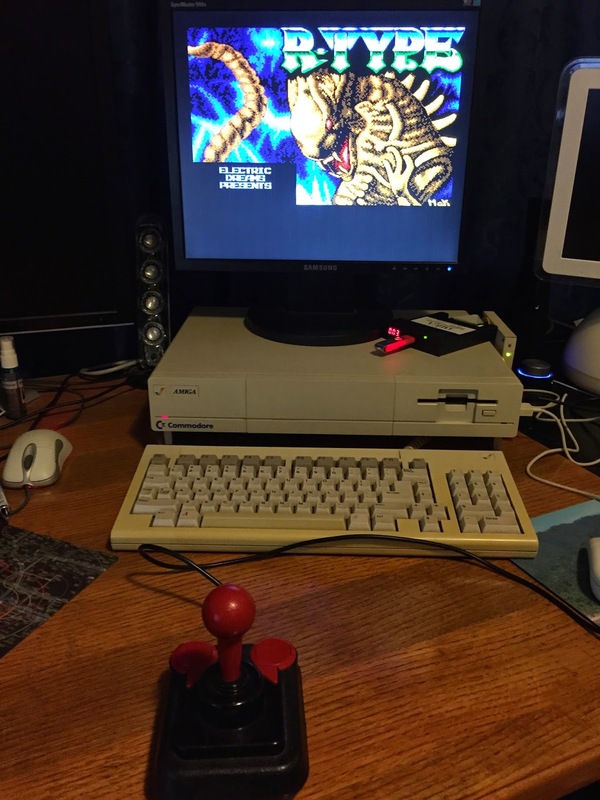 Having the Gotek on the Amiga 1000 makes great sense! 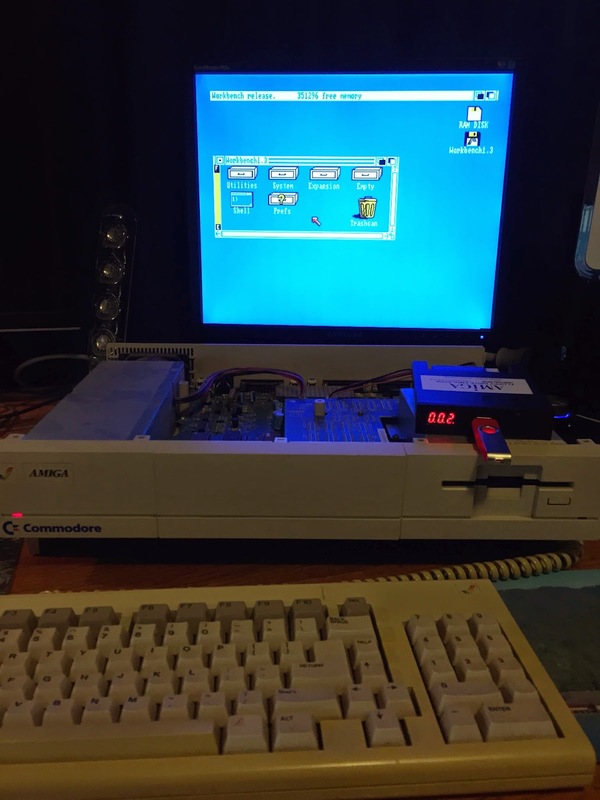 After trying it on the Amiga 600 last year I couldn't see a use for it given I had a hard disk and accelerators, etc. 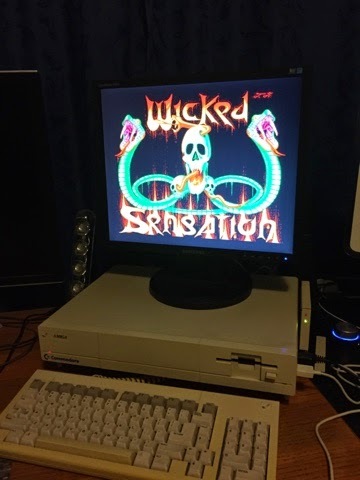 On the Amiga 1000 it fits well, and works great! Recommended! 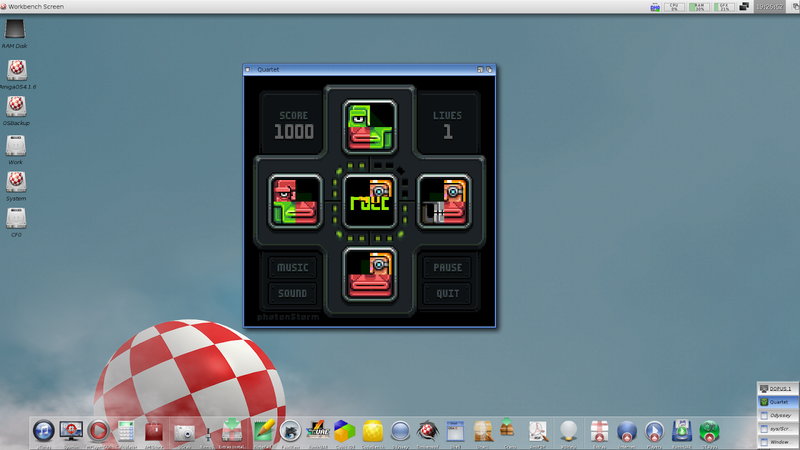 Today I wanted to take a quick look at the recently released game Quartet for AmigaOS4.1 on the AmigaOne X1000. 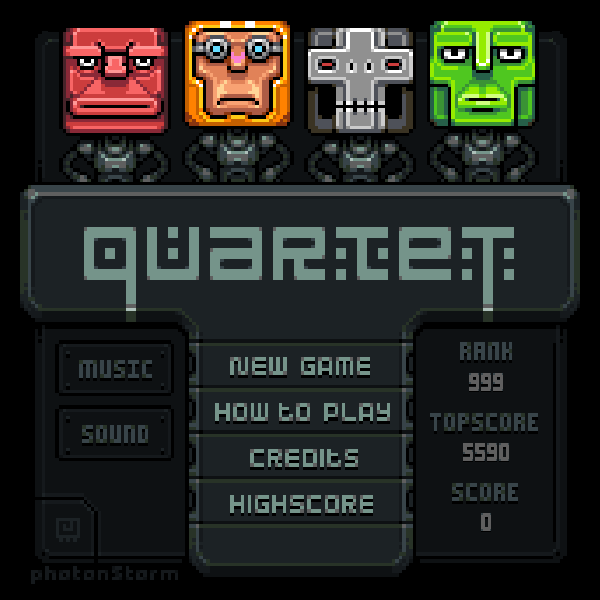 Quartet is a game written by Photon Storm originally and ported to AmigaOS4.1 by Nick "root" Sommer. 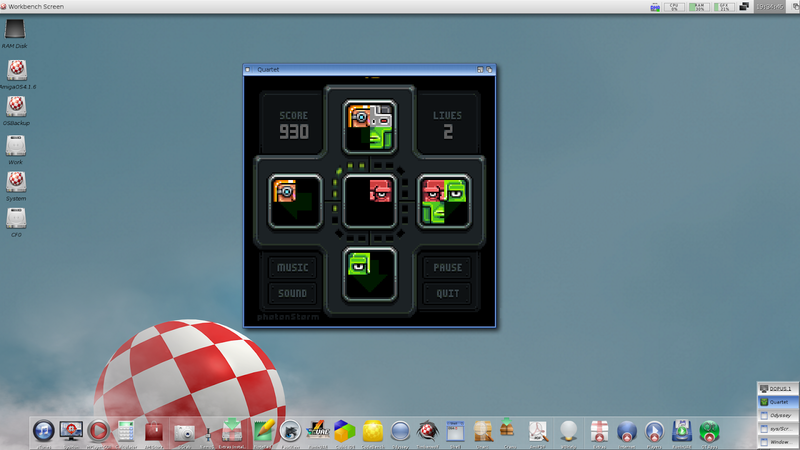 It is the first third party game released through AmiBoing (EntwicklerX) using their online highscore table structures. 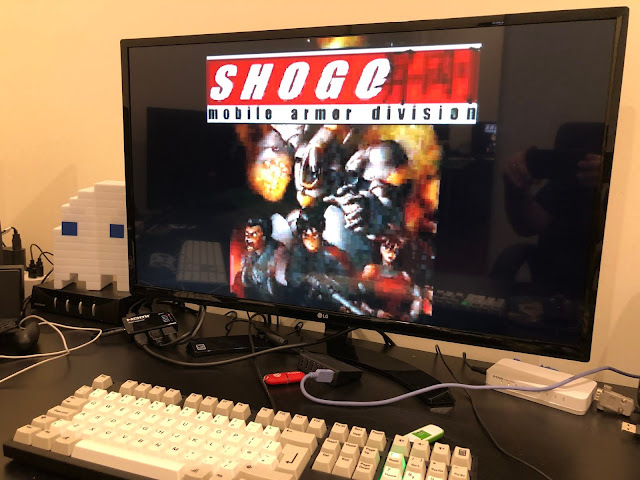 You can get the game from os4depot here. The nfo.txt file doesn't contain any information about the game other than some credits, so let's dive in! 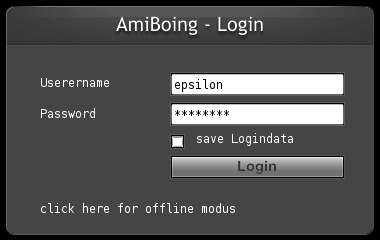 You can click the option at the bottom to login in offline mode if you prefer it, or don't have an Amiboing profile yet. 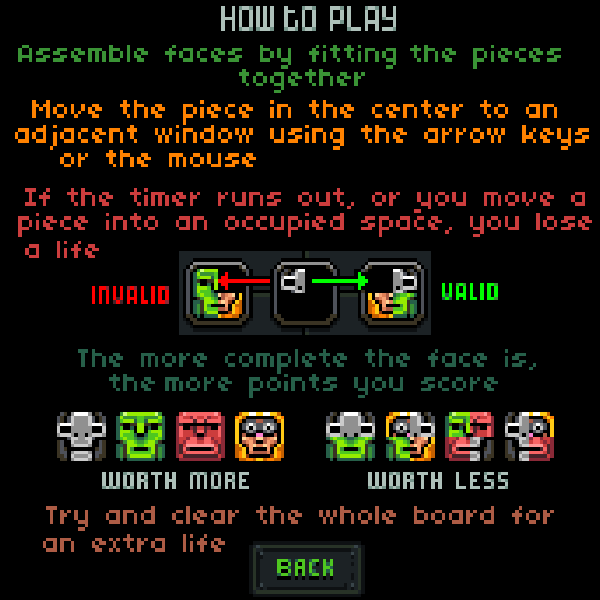 Basically you are trying to form complete faces in each of the 4 squares by positioning pieces presented to you in the middle square into one of the available boxes. Each piece fits in top left, top right, bottom left and bottom right positions within each square. If you put two pieces that are top left in the same square, you lose a life. 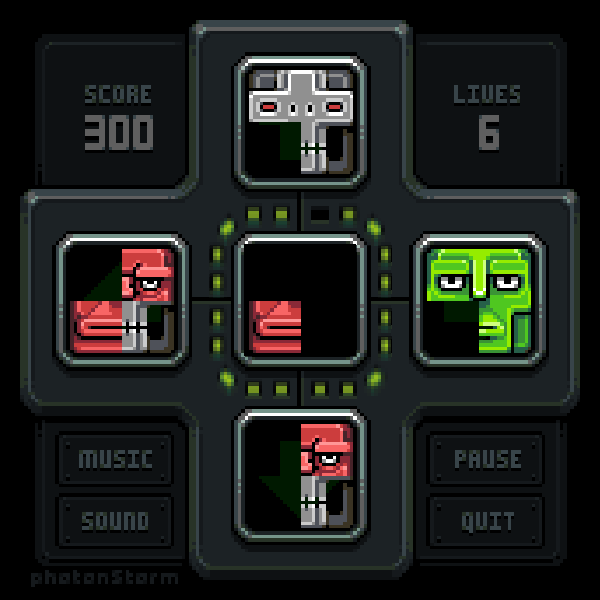 If you get all 4 face pieces within a square, you get a score for forming a "Face". If you can match 4 pieces of the same type then you get a much larger score for getting a "Full Face"
You have 6 lives to start with, but trust me when I say that they don't last long! 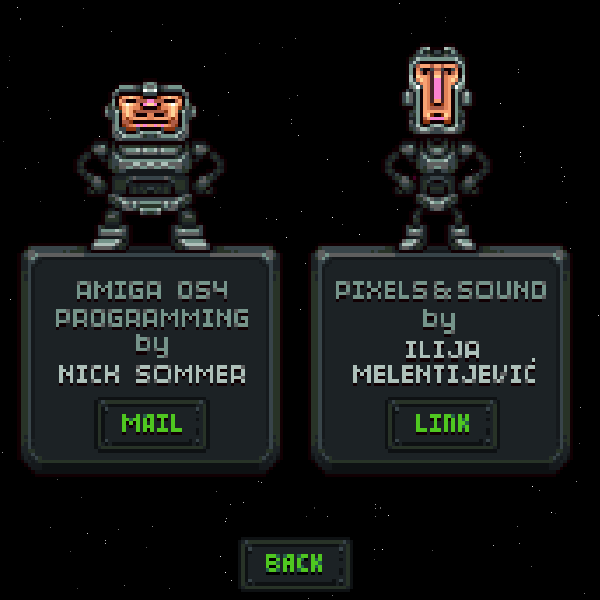 Given the fast nature of this game it is nice that the programmer included a Pause option! 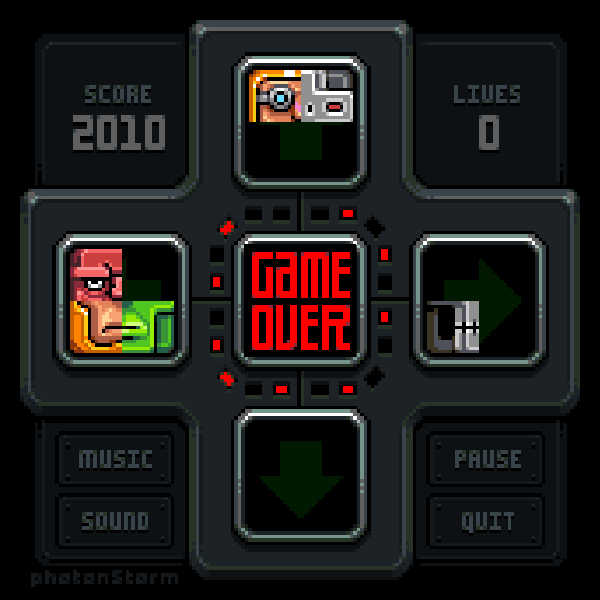 Game Over comes quickly, and often in this game as you learn the ropes. It is quite addictive though, and I had to keep trying! The global Highscore ladder provides extra motivation to try harder - I can't be last! 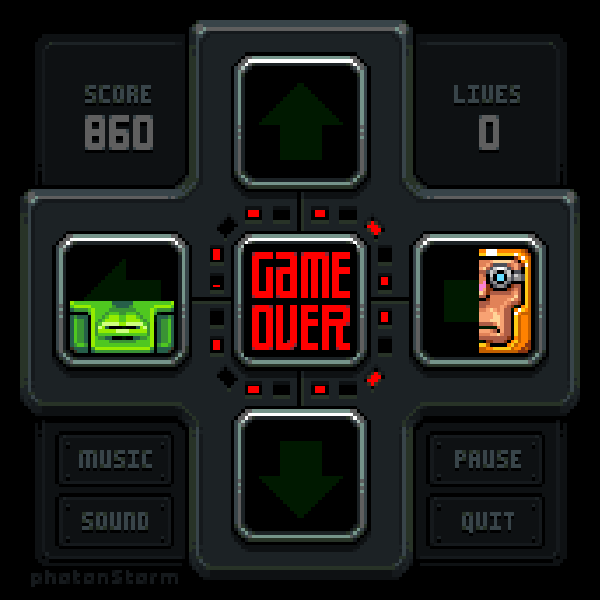 And Game Over screen keeps coming over and over and over too! 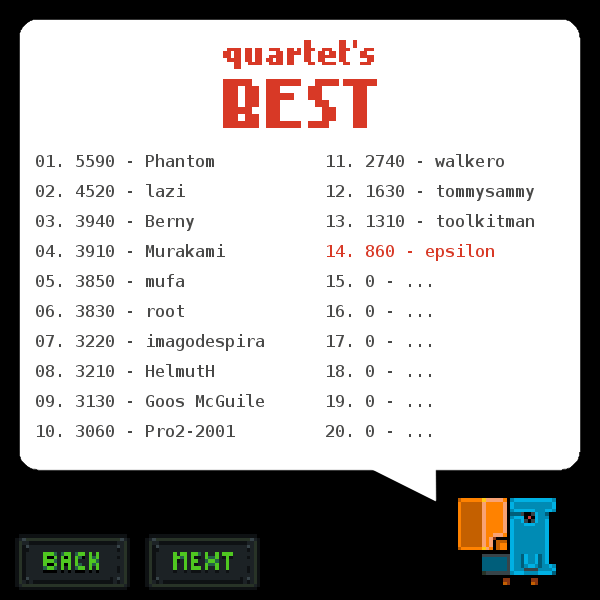 Slowly I start getting better scores, and finally I am no longer last on the highscore leaderboard! 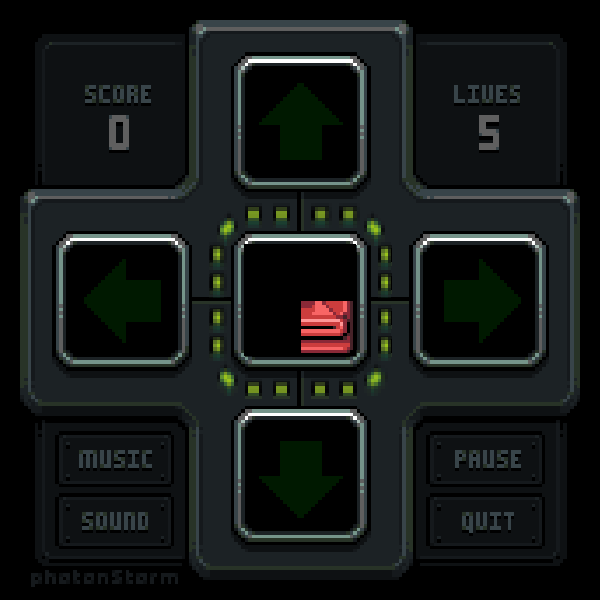 Quartet's graphics, music and sound effects are great and suit the game well. 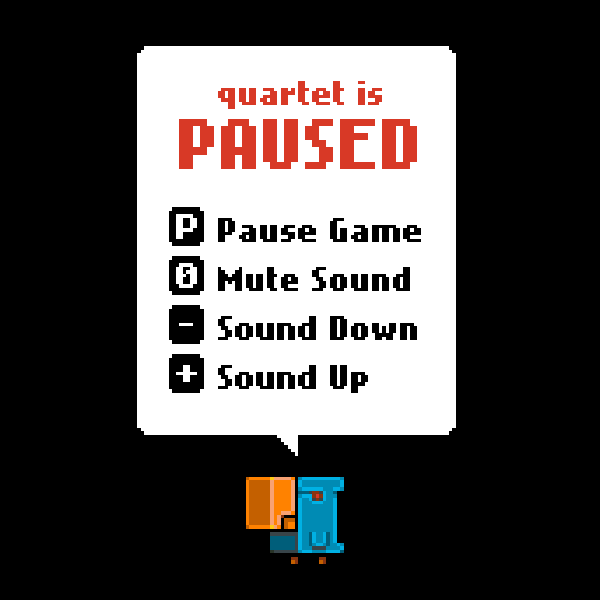 Quartet is a lot of fun, free and recommended. I am glad to play a new game on my X1000 in 2015 - I look forward to more games this year!